Claes Oldenburg’s Monumental Paint Brush Sculpture in Downtown Philadelphia! Philadelphia has no shortage of impressive public artworks and engaging street art scattered all over the city, and it’s fun to spend a day just wandering the different neighborhoods and checking it all out if you happen be visiting. Most notably, the city is also home to four large-scale public sculptures by legendary Pop artist Claes Oldenburg — more than any other city in the world. 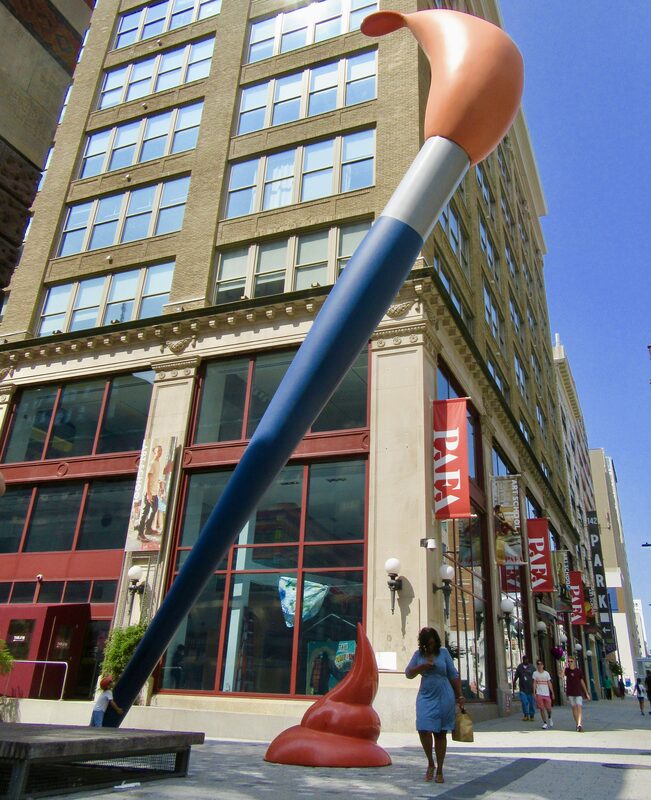 I happened to walk by one of those iconic Oldenburg works — a 51-foot high Paint Brush sculpture entitled Paint Torch, and its accompanying 6-foot Red Paint Blob located just below it on the sidewalk — when was in Philly on a recent weekend. 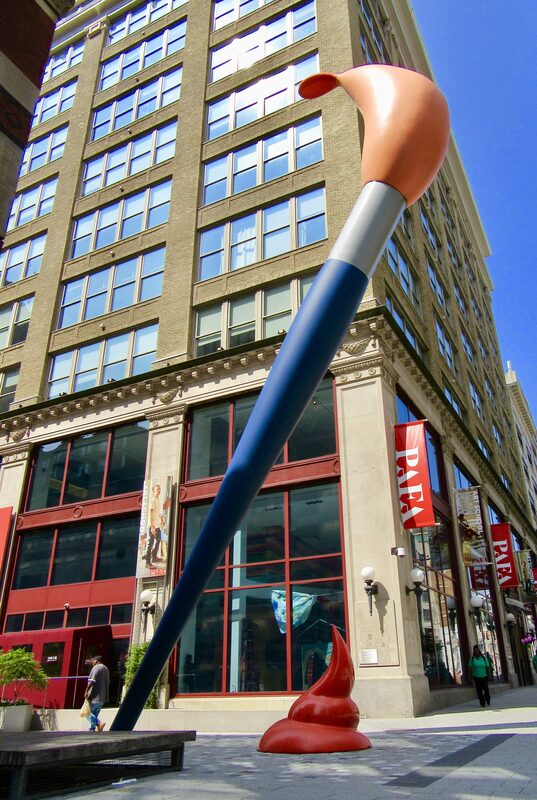 Paint Torch was installed on the Pennsylvania Academy of the Fine Arts (PAFA) Lenfest Plaza on August 20th, 2011. 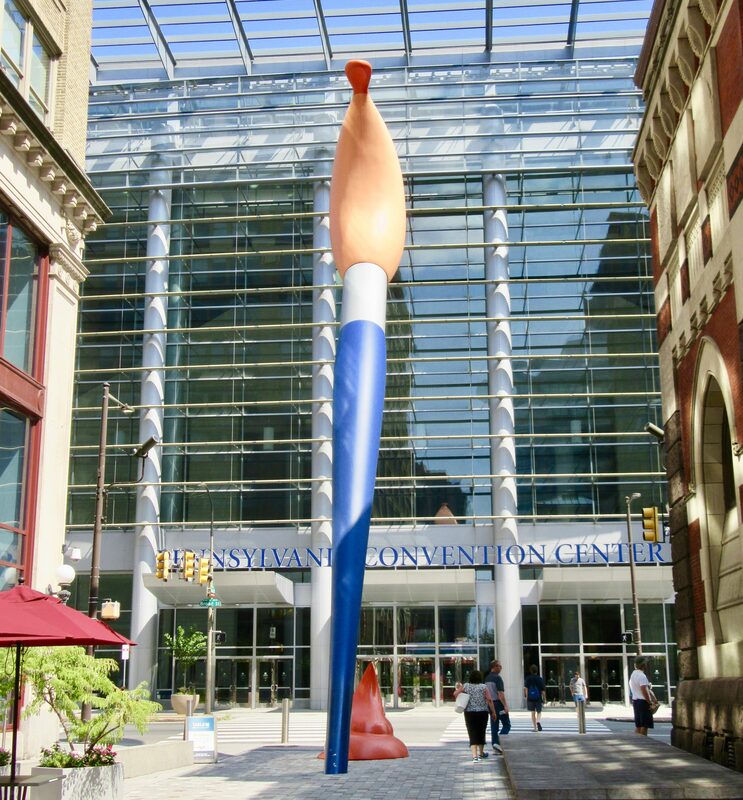 Paint Torch Can be Viewed Up Close at 118-128 N. Broad Street, just across the Street from the Pennsylvania Convention Center in Philadelphia.